The Nebraska Supreme Court says Conagra must pay a $108.9 million jury verdict for a 2009 fatal natural gas explosion at a factory that produced Slim Jims in North Carolina. Therefore, the jury awarded Jacobs the full amount from Conagra. Conagra appealed, and Nebraska’s highest court recently upheld the jury’s verdict. 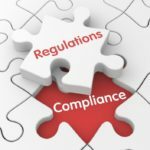 Contractor work rules established by Conagra required ESA to prepare a “Safe Plan of Action” (SPA) for commissioning the water heater to identify risks and outline each step of the process to complete the work safely. An SPA was never prepared. Conagra designated Timothy Yost, its plant engineering manager, as the person responsible for the safety of all employees during commissioning of the water heater. Conagra’s utility maintenance supervisor, John Puff, was responsible for the plant’s natural gas facilities. Yost and Puff were the “decision-makers” on the project. The day before the explosion, Puff instructed the crew to purge the gasline to the boiler, but he failed to provide instructions to purge the gasline to the hot water tank. 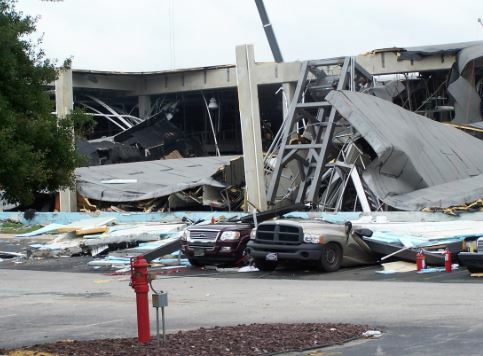 On the day of the explosion, a Conagra senior safety specialist inspected the pumproom where the new water heater was located and found “exposed wires” as possible ignition hazards. Curt Poppe, an ESA employee, was assigned to commission the water heater. Poppe’s commissioning plan didn’t include purging air from the gaslines. Yost and Puff didn’t train Poppe in Conagra’s contractor work rules. Puff was supervised by Conagra employee Ethner Roberson. With Puff’s knowledge, Roberson brought unrated temporary lighting into the pumproom. Roberson hadn’t reviewed the plant’s fire prevention plan, wasn’t aware combustibles shouldn’t be released into a room with ignition sources and didn’t know whether the lights he brought in were safe for a flammable atmosphere. Poppe had difficulty lighting the water heater. Over three-and-a-half hours, he repeatedly cracked the valve on the pilotline, placed a gas meter in front of the line as he released small streams of gas into the room and tried to light the water heater 32 times. Puff didn’t tell Poppe that the line hadn’t been purged. Puff left the plant to pick up supplies for another project, leaving Poppe with Roberson, even though Puff knew Roberson wasn’t qualified to supervise clearing air from a gasline. Poppe returned to the pumproom and released gas by opening the cap on the pipe. The room flooded with gas in less than a minute and the pumproom exploded. Two sections of the plant’s roof collapsed, killing four and injuring dozens of others. The North Carolina Department of Labor (the state’s OSHA) found multiple violations, including failure to purge the natural gasline used to supply gas to the pumproom and allowing the presence of numerous potential ignition sources while a natural gasline was being purged in an enclosed room. North Carolina OSHA found Jacobs didn’t contributed to the explosion. Conagra “accepted what the authorities determined” and didn’t conduct a separate investigation. Note: The case was heard in Nebraska because that’s where Conagra’s corporate headquarters were located at the time.